Dear Creatives, I was looking for some pet ideas when I came across pet portrait art, doggy bed diy’s, dog toy diy’s, bow ties… I want to make some healthy pet treats & maybe craft a project or two for the new puppy. 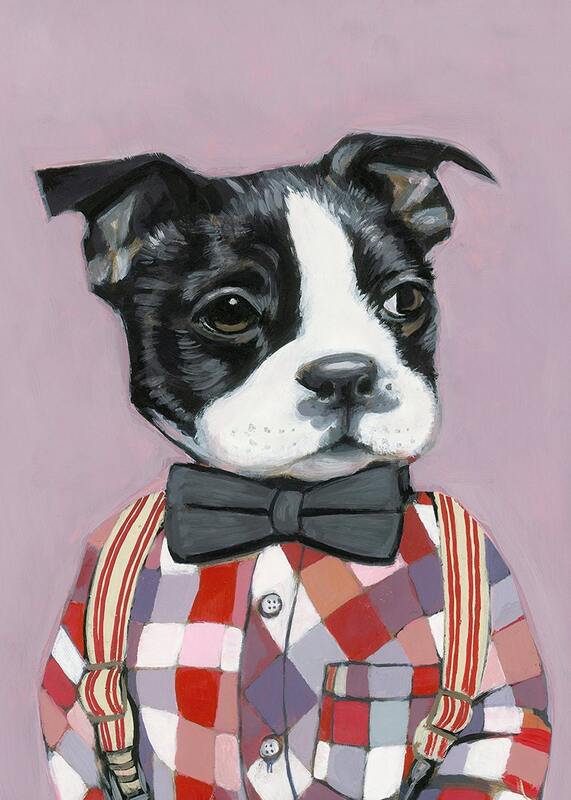 After being inspired by this illustrative painting below I will have to try painting of our new Rex too. If you missed the post yesterday I shared our new puppy’s photo. Today I am sharing a round up of pet related arts & crafts, along with diy’s. At some point I’ll have to share some crafty cat diy’s too. But, today diy post is for the dogs! First up this print is what is inspiring me to try & paint Rex. This was done by artist Heather Mattoon on Etsy If that wasn’t cute enough you’ll have to check out all her prints of dogs & cats. Of course her Siamese Violet is one of my favorite cat illustrations. Of course Rex will need a bow tie for those dapper events we attend this summer! I am sure to be making a bow tie. I will be on the look out for the perfect fabric & when I make it I’ll be sure to share it! This one is from Little Blue Feathers Etsy shop. 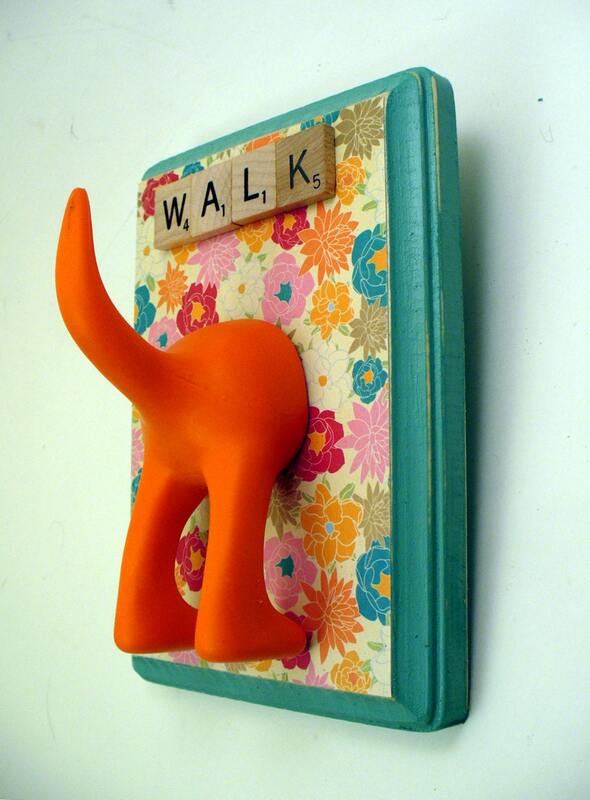 I love this idea of having a pretty-mod dog leash holder. I want to find all the pieces & put one together myself or break down and purchase one from this Etsy shop called AplombDesigns & here is a round up of a few diy doggie toys! 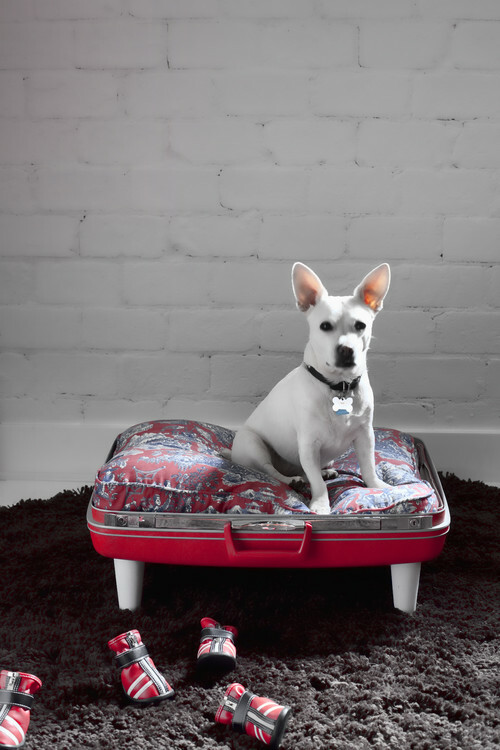 & I couldn’t resist sharing this article how to train your dog to put away his toys. There are other various tips on the site I want to check out & if your training a dog or just want to try some new skills for your dog you might like to check it out. 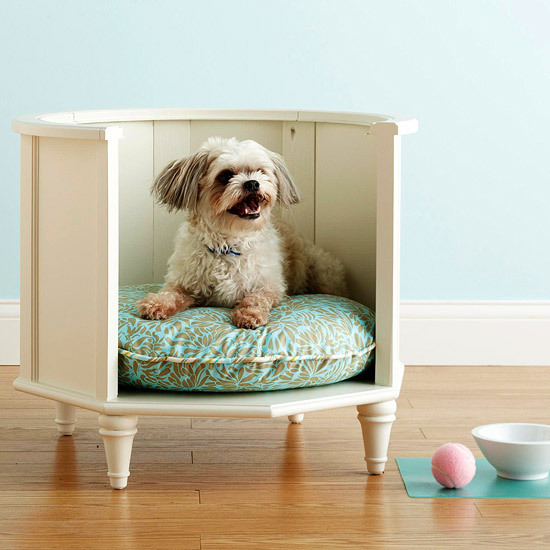 Do you have a dog diy to share? or tip? Leave it in the comments or link up on Friday’s Inspiration Spotlight post or via the submit page. Cuteness. 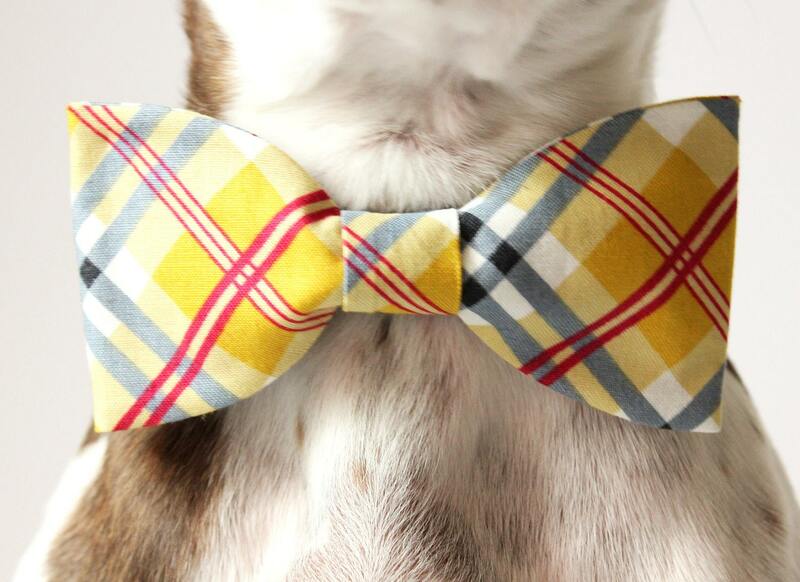 Those doggie bow ties are just too adorable. Rachel recently posted & would love you to read..Do You Coupon Shop? Hi Rachel! Right I was so in love with her shop. & the portrait artist. Do you have any pets? Hi Mandy, I agree thanks for sharing your tutorial & hope you can drop by this weeks party! I absolutely adore that dog leash holder! If I was the crafty type, I’d be all over that! Thanks for the comments=) I followed you back on Twitter, but honestly, I have no idea how to use that website yet! Haha. Hi Ashlee you just send notes. Using the @ symbols with the persons twitter name will make sure they see it. Look forward to keeping in touch via blogs or twitter. re dog leash holder;I know I have to make or get one! Thanks for the follow Elena & letting me know! I appreciate it, I visited not to long ago. Maybe you didn’t notice comment? I’ll be sure to pop back by again. Don’t forget to link up anytime with your photography! As an animal lover I simply adore everything I see here!! Hi Winnie, Can’t wait to get some fun pup accessories. Thanks for your comment & visit! See you again soon. I just LOVE dogs and have 2 myself. A St. Bernard and a Yorkie who sleeps on top of him =) I do have a tip on de-shedding a dog ~ The deFurminator (did a write up under my B.A. Awards!) I also wanted to let you know that I’ve nominated you for a Liebster Blog Award! You can read about it here: http://day2daysupermom.blogspot.com/2013/04/liebster-award-sisterhood-saturday.html Have a fabulous weekend! Thanks so much for the nomination Marcy! & dropping by to let me know. Hi Katherine, Thanks for dropping in. I am looking forward to visiting again.